Your pet’s health is always our number one priority, which is why we recommend annual or semi-annual wellness exams to ensure that your animal companion remains in good health. 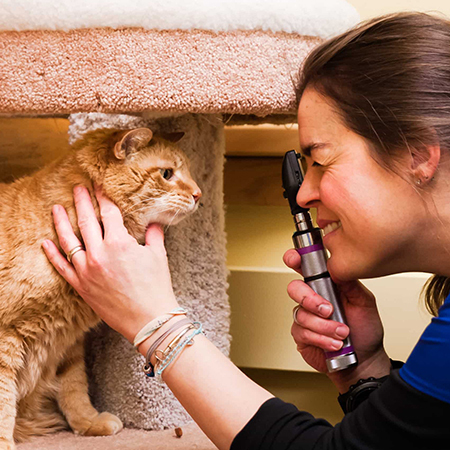 Recommended frequency of exams will depend on your pet’s age and general health status. These exams allow us to check on crucial health concerns, so we can continue to help you manage them properly. It’s worth noting that wellness care doesn’t just happen in our office. We can advise you on how to keep your pet well through proper dieting, exercise, home dental care and other smart strategies. We also offer house calls one day a week for our established patients with anxiety or mobility issues that make travel to the clinic for routine services a challenge. Call us today at 907-268-3379 to make an appointment, or schedule one online.